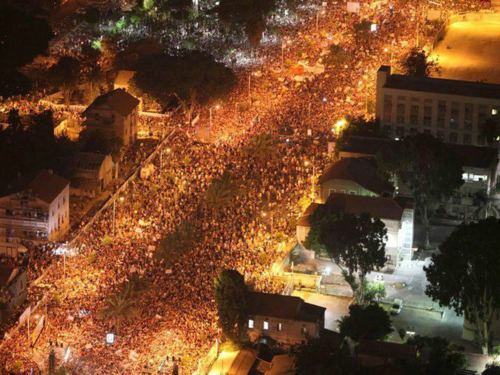 Tel Aviv, Israel — Half a million protesters against the economic and political system – and that in a country of 7 million inhabitants. Jews, Arabs, foreign workers, refugees and students marched together chanting “The people demand social justice”. Bank of England Governor Mervyn King: World Facing Worst Financial Crisis In History – More QE Justified!